AP Center is a web-based accounts payable automation software designed to simplify and standardize the invoice approval process. AP Center helps organizations to eliminate late and duplicate payments, as well as reduce manual data entry errors and bad/inconsistent GL coding. AP Center’s configurable workflow routing and approval hierarchy automates payables processing and reduces work cycle time. The dashboard provides an up-to-date view of pending approvals where users can approve invoices with a single click. The automated workflow process works for both PO and Non-PO invoices, purchase requests, expense reports, wire processing, and more. AP Center enables enterprise resource planning (ERP) integration for payment information, voucher creation, a chart of accounts, and more. Invoice capture features include e-invoice, email, and import. Users can centralize access to all accounting records in the cloud, which can be accessed from any computer or mobile device. AP Center helps organizations maintain compliance requirements and reduce fraud exposure by strict separation of duties. Reporting features include invoice aging, user productivity, spend analysis, accrual, DPO, and many others. Contact ICM Document Solutions for detailed pricing information. AP Center helps reduce manual data entry errors, as well as bad or inconsistent GL coding. 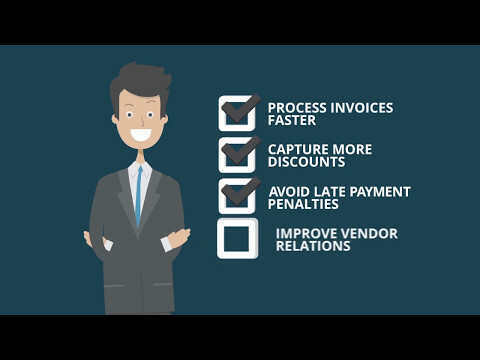 Configurable workflow routing and approval hierarchy help eliminate late and duplicate payments. Users can monitor invoice approval and outstanding liability with AP Center. Using AP Center helps reduce fraud exposure through a strict separation of duties. AP Center is accessible anywhere, anytime, from any mobile device. Below are some frequently asked questions for AP Center. Q. What type of pricing plans does AP Center offer? Q. Who are the typical users of AP Center? Q. What languages does AP Center support? Q. Does AP Center support mobile devices? Q. Does AP Center offer an API? No, AP Center does not have an API available. Q. What other apps does AP Center integrate with? Q. What level of support does AP Center offer? Q. Which apps is AP Center compared to most often?